Faster turnaround time, higher volumes. Excel spreadsheets are often the method of choice for sharing data. They look great, they’re understandable by people who don’t use databases, and they provide more functionality than a PDF or Word document. The downside is that machines can’t necessarily understand them. The information can be nested, and the columns broken. This means a machine process doesn’t get a clean run of data by simple parsing. 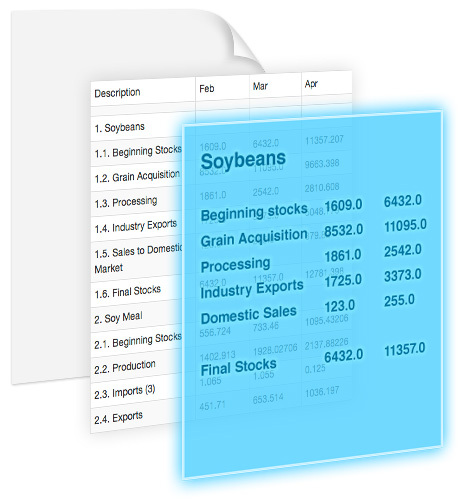 DataBaker solves this problem, making it quick and easy to create recipes which convert spreadsheets into data. 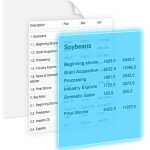 DataBaker can be combined with our PDFTables.com technology, which converts PDFs to spreadsheets. This provides a powerful combination for improving business data flows. DataBaker runs locally, so you can quickly process sensitive data. Databaker can process most files which contain grids of numbers. DataBaker uses simple recipes, which your team can write and maintain.